My babies are all gone. 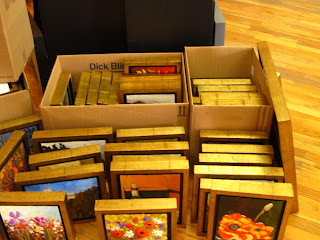 We took 132 paintings down to Weems Old Town yesterday and the last 18 today. My studio feels really empty right now but I'm SO excited to see all of my paintings on the wall. Hopefully they have room for all of them! We were trying to decide how to group them, by season, subject, etc. I'm happy as long as they don't group all of the sunsets together, or all of the meadows together, etc. I think it's going to be overwhelming to take them all in anyway, but when you hang 20 sunsets together, all I see is one BIG sunset. 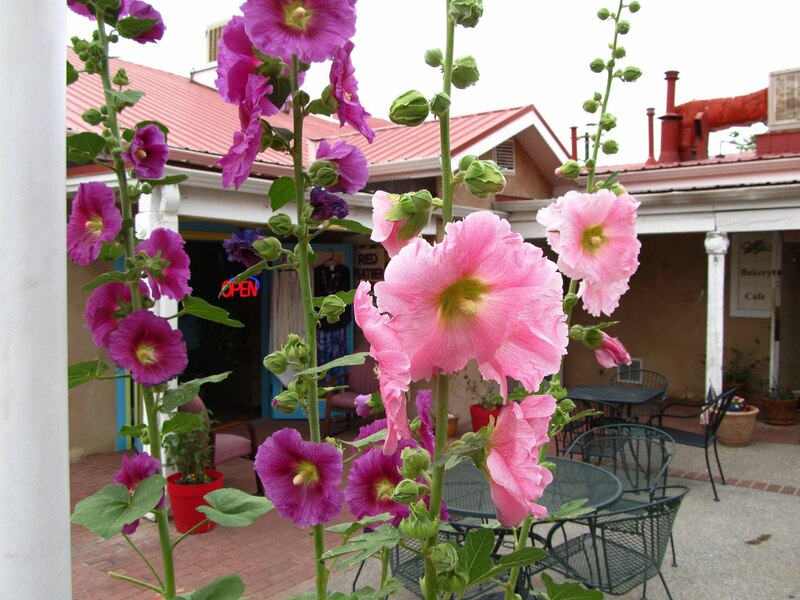 Anyway, this photo is of the beautiful hollyhocks right out Weem's backdoor. 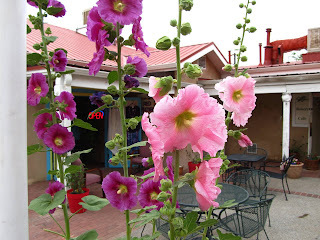 This is a photo of hollyhocks on Chirch Street, the litle tiny street across from Weems. 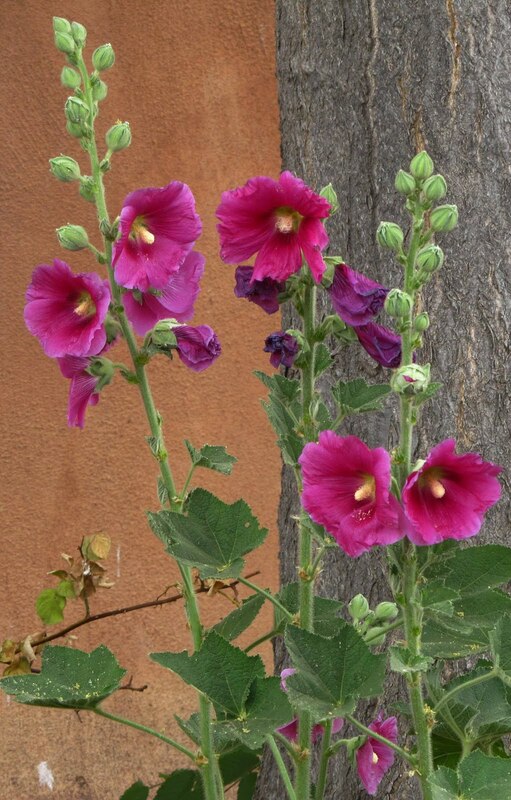 I really love the fuschia color of the hollyhocks with the grey of the tree trunk and the soft brown of the adobe. This is a painting one day. Okay, this is my neighbor's cat. She will never come to me, but she lays around my house like she owns the place. 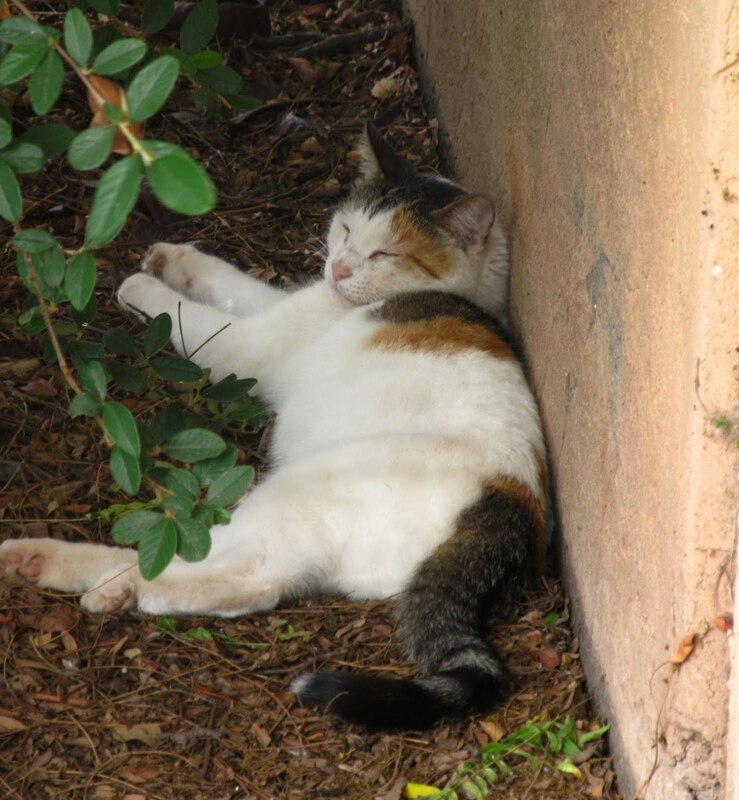 She chases my lizard and birds and lays in my bushes. Here she is against my house right after I watered the yard, so she's nice and cool. I had to talk nice to her to get her to raise her sleepy little head. 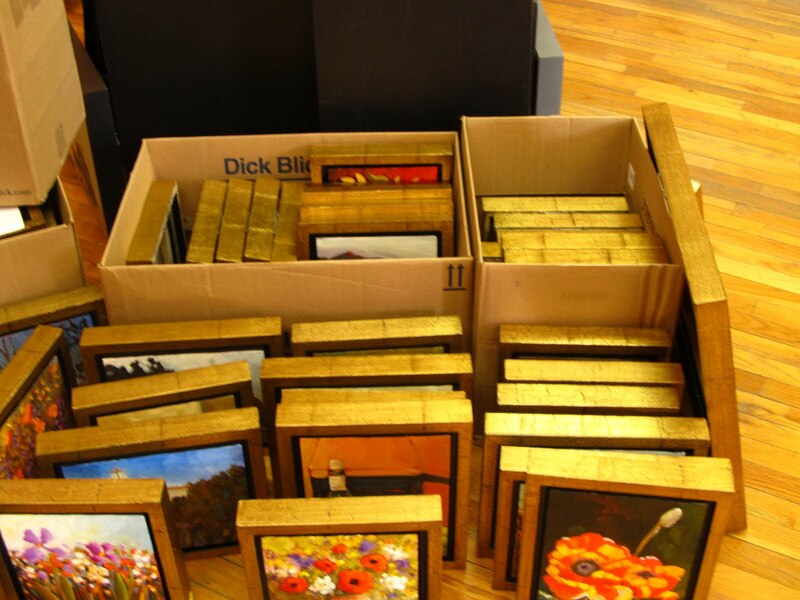 This is a coupel of boxes of paintings at Weems. I think we took about 18 boxes total. 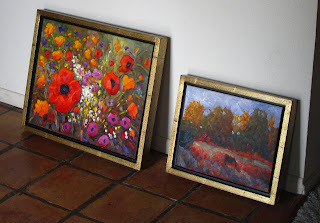 These are the two larger paintings waiting to go into the car. 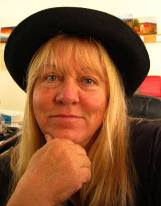 Tomorrow, I am going to Curves and relaxing and then finishing up some last minute stuff. Then tomorrow night I'm going for a massage! once againto see if there's a painting calling your name. If there is, call the gallery and give them your pereferences. last week for the 150 Show! guess where I went yesterday?